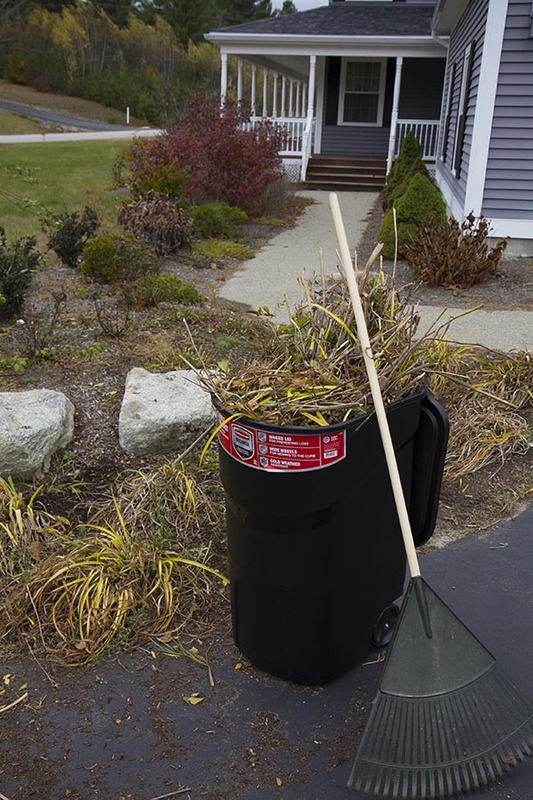 Every Fall I spend quite a bit of time cleaning up our large yard before the onslaught of harsh winter weather here in New England. Cleaning out the flower beds is one of the tasks that requires moving all the dead plants from the garden to our disposal area at the back of the property. I used to use a wheelbarrow for this task but that made it difficult for the kids. 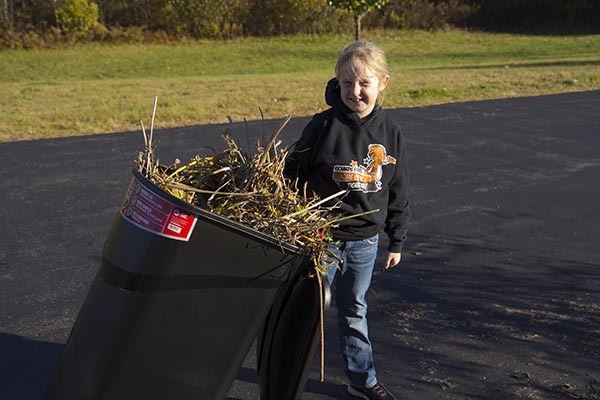 Using a wheeled trash can is much easier, carries more material, and the bonus is my kids can help! Having a wheeled trash can around the house is great for all kinds of projects besides just storing trash. These work great to store all the kids bats, balls, and sporting gear in (they can wheel it out of the garage, play, put things back, and wheel it back inside). These work great for transporting gardening tools across the yard (fill it full of shovels, rakes, and hoes). The wheels turn an ordinary trash can into an extremely useful tool in my opinion! 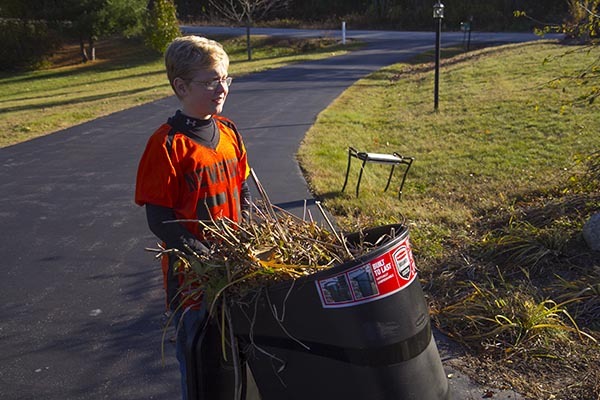 If you’re in need of a new trash can this Fall I’d encourage you to give one of these a try. They are available at The Home Depot and are very reasonably priced. The best part……my kids had a blast helping out. 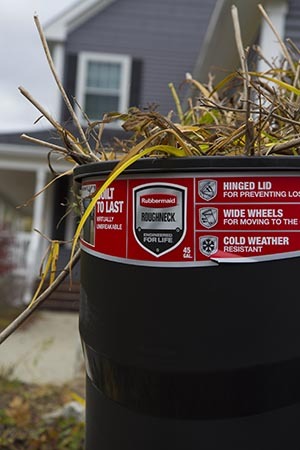 So be sure to get your yard cleaned up before the dreaded snow starts to fly!